My friends and I stayed here over the New Years' holiday and absolutely loved this house. Lots of outdoor area in the backyard (and pet friendly!) and spacious interior with plenty of room for a group dinner in the dining room and hanging out in the living room. Due to illness, we were unable to use the property and lost our payment. It is unfair for me to rate the location but I wanted to share this. You never know when illness is going to strike so I recommend the insurance. I never thought we would need it but my money and vacation went down the drain. Worth the extra money to save $$$ thousands. Hindsight is 20/20!!! We enjoyed a long weekend stay at this home. The home was well furnished and clean. The best thing we liked about the home was the access to the path along the stream in the back. 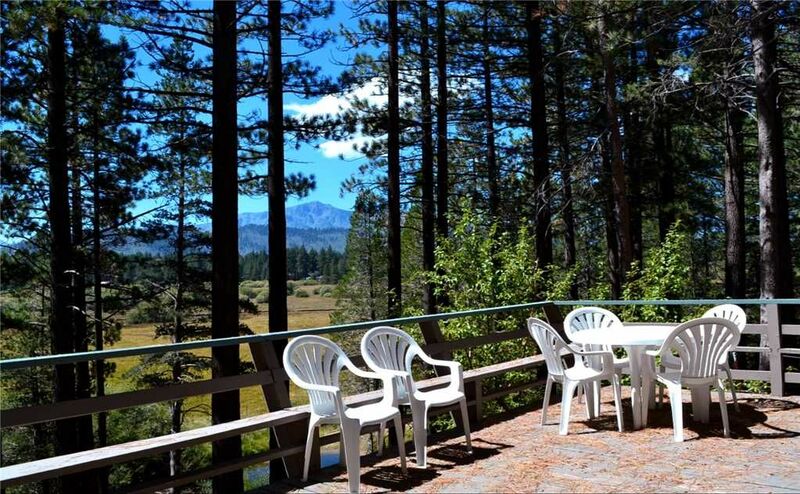 The home has a large deck with awesome views of the meadow and the snow covered hills. Great, private home with beautiful views! My sisters, fiance, and I brought our mother here for her 60th birthday and we had a wonderful stay. The kitchen is very nicely updated and well equipped. Spacious deck with new, very clean hot tub. Bathrooms were nice as well. Maybe the best part is that the home backs up to a huge meadow so while you are very close to ammeneties (market, restaurants, gas, etc) you feel that you have tons of privacy and you are surrounded by beautiful views. Only reccomendations would be some new pillows and new, larger towels. But overall, a really great home!!! The home was beautiful with breath taking views. The kitchen is stocked up with all the essentials from cook ware to a coffee pot and even champagne glasses! The hot tub is fully functioning and the views from the balcony are breath taking. It is a very spacious place and property. It was cozy, clean, and every part of the home was in mint condition it looks like they must’ve done some major updates. Checking in and out was a breeze I am very satisfied with this service and the home. We all had an amazing time Thank you! !